掲示板 第1話　Who is in the pumpkin carriage? 掲示板 第4話　Everyday life, really full of joy! 掲示板 第6話　Finally, our day has come! 掲示板 第8話　I want you to know my hidden heart. 掲示板 第9話　”Sweet”is a magical word to make you happy! 掲示板 第10話　Our world is full of joy!! 掲示板 第11話　Can you hear my voice from the heart? 掲示板 第12話　The magic needed for a flower to bloom. 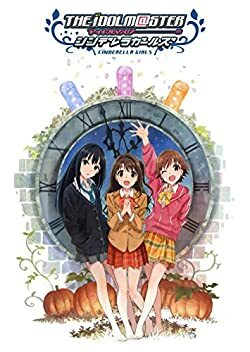 掲示板 第13話　最終話　It's about time to become Cinderella girls!